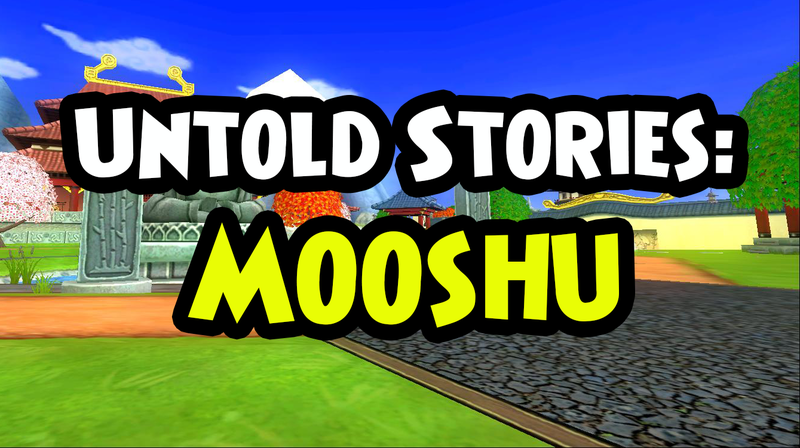 Welcome to Untold Stories: Mooshu. This post will be a continuation of the Marleybone storyline synopsis. Headmaster Ambrose grows worried when you tell him that Malistaire is now in control of the Krokonomicon … but even the former death teacher can’t ignore the basic rules of world travel. If Malistaire is heading to Dragonspyre, he’ll need the spiral key. Ambrose then informs you that only the Emperor of Mooshu has it. Realizing that the fate of all worlds is at stake, Ambrose gives you the Mooshu spiral key and instructs you to warn the Emperor not to let the Dragonspyre spiral key out of his sight. Upon arrival in Mooshu, you share your mission with a local named Su Lee. According to her, no one may see the Emperor without permission from His Majesty’s Guard. Wanting to put you on the right path, Su Lee directs you to a guard named Noboru Akitame. Unfortunately, Akitame has some very bad news. Apparently Malistaire has already paid the Emperor a visit, and as a result, no one else is allowed to see the Emperor. The guards will only make an exception to someone who willingly submits to the tests of mind, body, and spirit. Akitame warns you that nobody but the Emperor himself has been able to pass all three tests, but if you’re up for the challenge, Lo Pang can administer the first test in the Rock Garden. Lo Pang admits that he’s never attempted to administer the test of mind to anyone but a monk, but he’s willing to try it on you. After studying the Rock Garden patterns and reading the Book of Celestial Wisdom, Pang declares that you’ve passed the test of mind and urges you to return to Akitame. For your second test, the test of body, Akitame tasks you with dueling Samoorai Yochimo Toyo. Having never fought a wizard before, Yochimo is eager to battle. Despite his best efforts though, you come out victorious. With the tests of mind and body out of the way, all that’s left is the test of spirit. To pass this test, you visit the Mooddha statue at the center of the palace grounds. The statue begins to speak, and announces that you are indeed of pure spirit. Pleased that you’ve passed all the tests, Akitame allows you to enter the Throne Room to see the Emperor. Directly inside the Throne Room is the Jade Champion. He immediately sighs after hearing your warning about Malistaire because you’re already too late. When the Emperor refused to hand over the Dragonspyre spiral key, Malistaire severely injured him and fled through the Dragonspyre spiral gate. Sadly, only the Emperor can grant you the Dragonspyre spiral key, and his wounds have made him extremely ill. If you wish to get your hands on that spiral key, you’ll need to restore the Emperor to his full health. Before sending you to Tan Keng, the Jade Champion asks that you keep the Emperor’s health hush hush. He does not want word of the Emperor’s health to reach and frighten the people. Tan Keng is grateful for your help, but even he knows you have a large task ahead of you. In order to heal the Emperor of his wounds, you must restore his mind, body, and spirit. While the Emperor fights for his life, his people have been fighting on the land. Keng shares that he’s always believed in the tie between the Emperor and the land, but hasn’t witnessed it until now. Keng is confident that if you can heal the Emperor’s spirit, you may be able to end the war. It turns out that the spirit of a Samoorai resides in the Emperor’s sword, but it was taken by Warlord Katsumori. To get it back, Keng sends you to Shojiro Gama in Hamestu Village. Gama discloses that Warlord Katsumori stole his warriors’ weapons and even attacked them while they were celebrating the Festival of Lights. Knowing that you won’t win without those stolen weapons, Gama asks you to retrieve them. After you do, your next mission is to buy Gama’s men time, push back against Warlord Katsumori’s troops, and intercept his orders. Once you successfully intercept Warlord Katsumori’s orders, it’s revealed that there is a spy among Gama’s men. Although the identity of the traitor isn’t stated, it does say that he or she reports to a Warlord named Do-Daga. Following Do-Daga’s defeat, Gama sends you to Sanisai Fukido in Tatakai Outpost. Fukido reveals that the outpost is being overrun, and if you want any chance at getting the Emperor’s sword back, you’ll need to help him protect it. Because the outpost became overrun as soon as he took charge, Fukido knows that Gama doesn’t exactly trust him. However, he’s eager to prove his comrade wrong. After scouting the enemy towers and overhearing something about supplies, Fukido directs you to Shai Fung, who he hopes will be able to help you cut Warlord Katsumori’s supply lines. Once you steal some supplies, defeat a few enemies, and take on Otomo Quartermaster, the deed is done. The supply lines are cut. With that taken care of, you report back to Fukido. If Fukido is to find the spy, he needs a big distraction so they won’t see him coming. To do that, you set the enemy’s scout towers ablaze. By the time you finish, Fukido has figured out that the “spy” is no spy at all. The person the orders were referring to is none other than Maito, the leader of the enemy outpost. Once you defeat Maito once and for all, Tatakai Outpost is secure once again. Fukido is thankful for your help and reveals that the entire war started when the Emperor refused a festival gift from Warlord Katsumori. He also tells you to report back to his brother, Gama. Gama admits that he never should have lost faith in his brother, and is relieved that you’ve helped him retake the outpost. With Warlord Katsumori’s forces pushed back, Gama urges you to enter Crimson Fields and speak with Hoi Mang. After meeting up with some allies in Crimson Fields, you’re able to successfully infiltrate Warlord’s Katsumori’s lair and defeat him. However, as soon as he falls, he transforms into a creature called the War Oni. Although menacing, you’re able to take care of the oni and reclaim the Emperor’s sword. With your prize in hand, you head back to Tan Keng to inform him of what happened. Keng begins to worry when you tell him that you faced an oni. With the Emperor in a weakened state, Keng fears that the oni demon could have possessed others besides Warlord Katsumori. Worried for what’s to come, Keng instructs you to travel to Shoshun Village and make sure that Mooshu’s healing waters are still pure. Unfortunately, when you arrive, a frantic Sun Hing exclaims that the water is tainted. Unsure of what to do, he directs you to his superior, Din Ho, in the Cave of Solitude. Din Ho is a very calm spirit. Although times are grim, he remains optimistic and believes patience is the key. He informs you that the Plague Oni, another powerful demon, has sickened the water and broken the Jade Scepter that purifies the shrines. If you repair the Jade Scepter, you can weaken the Plague Oni. Luckily, Din Ho already knows where a piece of it is. After you retrieve it, Din Ho thanks you and consults the ancient texts. They mention a pig named Koto. 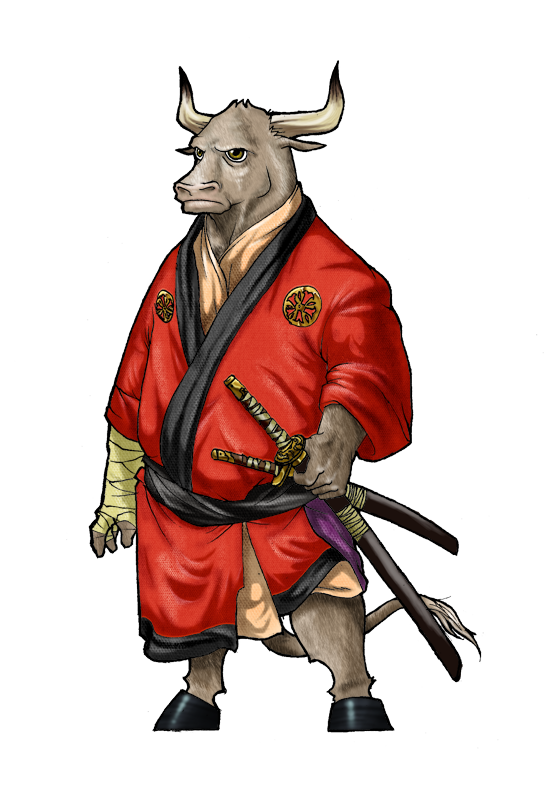 Din Ho suspects that the Plague Oni gave Koto a piece of the Jade Scepter for safekeeping. Once you go and defeat him, you’re able to collect the second piece of the Jade Scepter. Uncertain of where the last piece is, Din Ho sends you to search the huts around the village. When your search turns up nothing, Din Ho directs you to a pagoda of significance to the Plague Oni. Inside the pagoda you find a challenger, but he’s no match for you. You then notice a note on the ground that reads: Good work on getting me the headpiece. It turns out that a warrior named Kanago is in possession of the final piece. After having to fight him for it, you return to Din Ho victorious. Din Ho states that in ancient times, the Jade Scepter was blessed by the forest spirits. If you’re to win this battle against the disease, you’ll need the aid of these spirits. Needing something to offer the forest spirits, you go and collect different types of flowers. Once that is done, you take the flowers and the Jade Scepter pieces to a brazier. Miraculously, the forest spirits hear your wishes and repair the Jade Scepter. With the Jade Scepter now intact, you report back to Sun Hing in Shoshun Village. 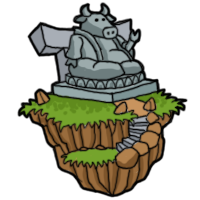 To weaken the Plague Oni, you’ll need to restore Mooshu’s shrines to their former glory. Sun Hing insists that Tu Luk Kwo in Kishibe Village can help you with such a task. Kwo tells you that you must seek out the shrine guardians of mind, body, and spirit. Only then can you restore them all. You start off by finding Khin-Pao, the guardian of the body shrine. When you locate him, you discover that he’s seen better days. The mushrooms around the village have been spreading disease and you must destroy them to cure him. Once you do, Pao regains enough energy to help you purify the body shrine with the Jade Scepter. The next shrine guardian to find is Woo Ping, the guardian of the mind shrine. Unfortunately, instead of finding him, you find yourself in an ambush. Woo Ping has been taken and now you have to rescue him. After freeing Woo Ping from Warlord Katsumori’s henchmen, you meet him at the shrine of the mind. Now that he’s safe, Ping helps you purify the mind shrine with the Jade Scepter. Only one shrine to go! Chang Su is the guardian of the spirit shrine. When you seek him out however, he’s nowhere to be found. Kwo isn’t surprised by this and thinks that Su’s warrior instincts may have kicked in and he went to join the fight. Regardless, since Su is not present, Kwo says that you need to find a new spirit guardian. He already has someone in mind – Sesshu Nedaki. Although Nedaki is a brave warrior, Kwo suspects that he may need some persuading to take on a more monk-like role. Just as Kwo guessed, while Nedaki is honored by Kwo’s offer, he claims he is a warrior at heart … not a monk. Knowing that Nedaki has not yet opened up his mind to possibility, Kwo is determined to show him that there are equally honorable ways to serve the Emperor. After administering two monk “tests” to Nedaki (unknown to him), it’s clear that he has many monk qualities. Once you inform him of this, he relents and accepts the shrine guardian duty. Using the Jade Scepter and Nedaki’s energy, you’re finally able to purify the spirit shrine. Thanks to the restoration of all of the shrines, the Plague Oni is weakened and now is your chance to end him once and for all. You end up tracking down his lair in Shirataki Temple and make short work of him. Now that the Plague Oni is defeated and the shrines are restored, Mooshu’s waters are pure once more. Sun Hing gives you a vial of the pure water and sends you back to Tan Keng in Jade Palace. Keng is relieved to see you and happy that you’re one step closer to curing the Emperor. You have what you need to heal his mind and spirit, but to heal his body, Keng asserts that you will need fruit from the Tree of Life. Sadly, just like how the oni demon possessed Warlord Katsumori and polluted the waters of Mooshu, the Death Oni has twisted the Tree of Life. Keng tells you to seek out Hideo Kebo in Yoshihito Temple – he should be able to guide you. 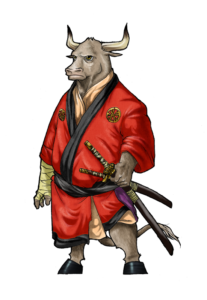 Upon meeting him, Kebo shares that he has faced the Death Oni many times, but has never defeated him. He also adds that if you can get ahold of a powerful evil spirit, you could cross the cursed river that separates you from the Tree of Life. No evil spirit will go quietly though, so you’ll need a spirit cage to control it. As a result, Kebo instructs you to travel to the Ancient Burial Grounds to retrieve one. When you enter the Ancient Burial Grounds, you encounter an ancestor of Hideo Kebo, Ichiro Kebo. Somehow he already knows why you’ve come, and he’s willing to help. He tells you that in his time, three brothers possessed the spirit cage. To gather clues of its whereabouts, you travel to the grave of the eldest brother and read the inscription on the stone. You jot down what it says, but it’s incomplete. It’s merely the first part of a clue. Using what he knows about the brothers’ pasts, Ichiro correctly leads you to the second part of the clue. After he makes sense of them, Ichiro figures out that the brothers lost control of the spirit cage before their deaths. It’s concluded that a strong spirit stole the spirit cage and took it where it had no power. After you defeat Tamauji and collect the third clue, things start to become clearer. All 3 clues together make a guide for the living to find the spirit cage. The first thing you need to do is locate the Spirit Torch. You’ll need it to light the summoning candles that open a portal to the spirit world. Once you defeat a fire elemental that guards it, you collect the torch and move on to the next problem. One of the brothers’ inscriptions said that a living being could not enter the spirit world first … but he said nothing about going second. To make use of this loophole, Ichiro suggests you collect crypt dust and use it to lead into the spirit world. With the dust and torch in hand, you enter the spirit world, defeat the spirit guarding it, and collect the spirit cage. Now that you have what you came for, you travel back to Hideo Kebo to tell him the good news. Kebo is honored that his ancestor was able to help you and relieved that you were able to locate the spirit cage. Now all you need is an evil spirit. Kebo sends you to the Village of Sorrow to find one. Ken Shui, a confused spirit who at first doesn’t realize he’s dead, greets you when you enter. 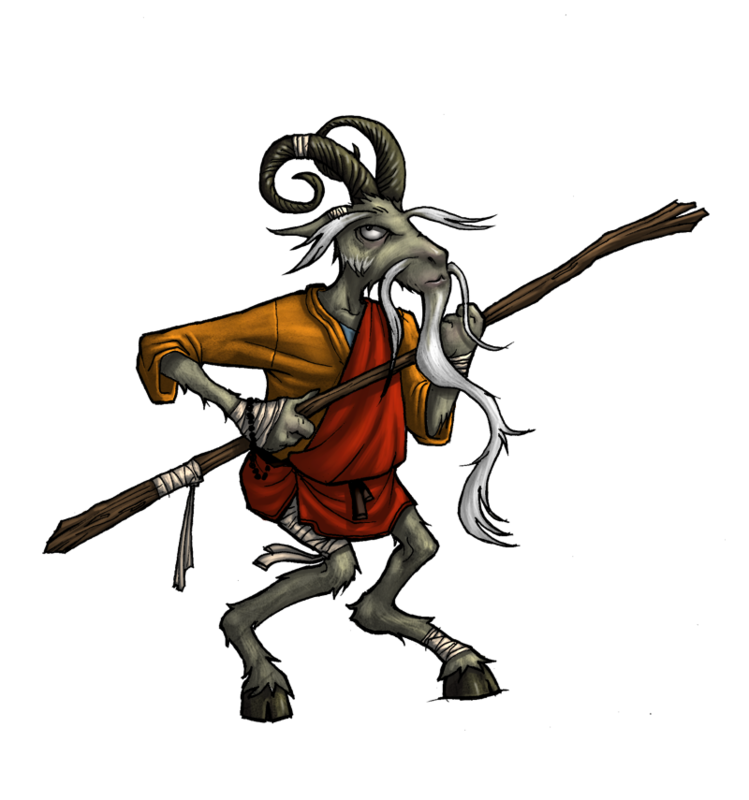 He says his family is haunted by an evil spirit and wishes for you to vanquish it. In the process of doing so, you free a spirit named Ting Yin. Yin informs you that if you want to capture an evil spirit with your spirit cage, you’ll also need a Soul Chain to bind it. Ken Shui concludes that the best person to help you forge a Soul Chain would be the blacksmith, Xihong Bi. With her help, you’re able to successfully forge a Soul Chain and capture the evil spirit of Oyotomi the Defiler. Time for you to head back to Kebo. Kebo explains that the cursed river doesn’t allow anything good to cross it. Luckily, the evil spirit you possess will get you across. Once in the presence of the Tree of Life, you find that it’s ruined. In order to restore it, you have to quickly find the Death Oni and defeat him. Unfortunately, you’ll have to confront him in the spirit world – where he is much more powerful. After taking the Dagger of Shadows from Nomoonaga, you plunge it into the Tree of Life to open a portal to the spirit world. After you step inside, you come face to face with the Death Oni. Although he puts up a good fight, you take him down and save the Tree of Life. With the tree’s power restored, you take the Fruit of Life and head back to Tan Keng in Jade Palace. Keng praises you for all that you’ve done for Mooshu and urges you to heal the Emperor at once. After returning to the Throne Room, you place the Emperor’s sword beside him, pour the pure water on his wounds, and feed him the Fruit of Life. No sooner you do that, the Jade Oni appears and challenges you to a battle. Following its defeat, the Emperor returns to his former self and thanks you. He then presses you to take the Dragonspyre spiral key, but remembers that Malistaire took it. It’s here where the Jade Champion shares that he has the Dragonspyre spiral key. He explains that he caught up to Malistaire as he was opening the gate, but he couldn’t stop him. Fortunately, Malistaire had to leave the key behind. The Jade Champion asks for your forgiveness and hands you the key. Before you leave, the Emperor mentions that although he has always needed to turn down Ambrose’s Ravenwood teaching offer, he’s glad that students like you are around. Speaking of Ambrose, better go fill him in on what has happened here.